Nevadans can be forgiven for thinking they are in an endless loop of “The Walking Dead” TV series. Their least favorite zombie federal project refuses to die. Nevada’s U.S. Sens. Dean Heller, a Republican, and Catherine Cortez Masto, a Democrat, have made their determination to block the latest Yucca proposal clear since the Trump administration first proposed resurrecting the project in early 2017. A 2015 tour of an entryway into the proposed Yucca Mountain nuclear waste repository. 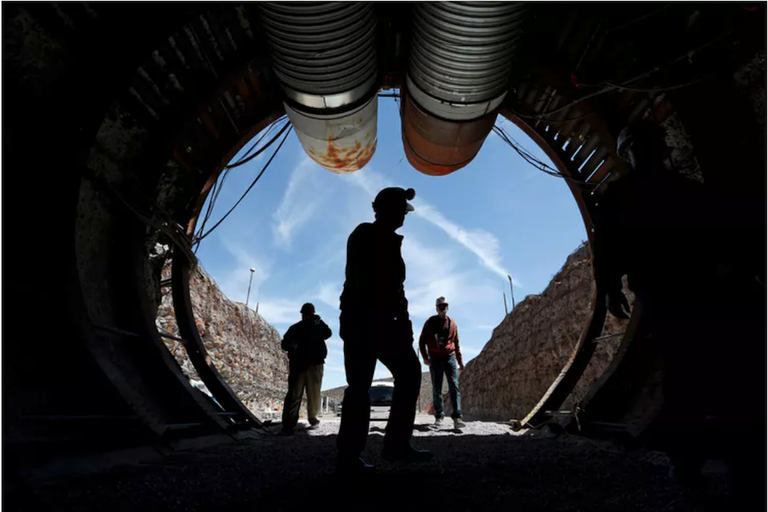 While teaching and writing about the state’s history for more than 30 years, I have followed the Yucca Mountain fight from the beginning — as well as how Nevadans’ views have evolved on all things nuclear. The project could well go forward, but I believe that it probably won’t as long as there are political benefits to stopping it. Sen. Harry Reid, a Democrat first elected in 1986, crusaded against the measure. So did his Nevada colleagues in Congress. Michael Green is an associate professor of history at the University of Nevada, Las Vegas.